Just this week i wrote a post asking Why Google Page Rank Had Not Been Updated For 8 Months.In fact it was a question a lot of people were asking.While Google are constantly updating Page Rank internally the External Page rank the public can view Via the Google Toolbar and Page Rank services had not updated since April 2010.Today i noticed a Page Rank change on some of my Blogs including this one (I bet they read my post and took my advice :D).This has come in the middle of rumors of Google completely scrapping Page Rank and Google losing the exclusive rights to page rank. 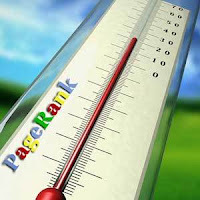 If your unsure of Page Rank and how it works take a look at the short video below. The update is welcome, although Toolbar Page rank is not Hugely important in the overall picture it is one of the factors Advertisers and even readers take into account.As well as an Update on the Home Page of Spice Up Your Blog from Page Rank 2 to Page Rank 3 (I Expected More) many of the posts have also increased.Over 50 Individual posts have received Page Rank of 2 and 3 so it looks like a complete or Major update.I used the image below in the last post but it is a great graphic so i shared it again. I guess this does not mean Google wont scrap page rank in the future but for the moment this update should stop the rumors.So has your blogs Page Rank been updated ? Let us know and remember sometimes a page rank update is rolled out over a few days so you might see a change over the weekend.Check out more of our Best SEO Posts.